Do you need to locate a witness to determine liability? Do you need a scene assessed and measured to determine if other contributing factors contributed to an accident? Do you need an entire investigation conducted to determine the real time circumstances involving an accident? 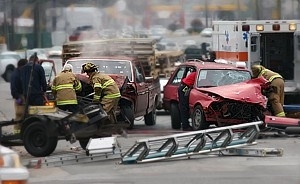 Call the professionals at Maya & Maya, Inc who have conducted thousands of motor vehicle accident investigations that include reconstruction, witness locating and interviewing, driver interviews, follow up with law enforcement personnel, re-measuring scenes, assess injuries of participants and updating their status after lengthy periods have occurred. At Maya & Maya Inc, we have a Traffic Crash Unit that will respond within 4 hours of assignment to the scene and assessed the crash site, locate and interview drivers, passengers, witnesses, and law enforcement personnel. NO CRASH INVESTIGATION IS EITHER TOO SMALL OR TOO LARGE. WE HAVE HANDLED TRAFFIC HOMICIDES TO MINOR FENDER BENDERS. A proper investigation can help the claims process develop to make a viable decision regarding liability. It important to assess the scene as soon as possible to make a proper assessment to provide a better visual of the reasons an accident may have occurred. A sense of urgency is also important to interview all crash participants as soon as the crash occurs to obtain real time information. With Maya & Maya Inc we will provide you with the peace of mind that your accident investigation is being handled by seasoned professionals who have investigated very complex and high profile crash investigations for insurance carriers. All personnel receive training from IPTM in Jacksonville and are certified with At Scene Traffic Homicide Investigation and receive continuous education training on traffic crash investigations. At Maya & Maya Inc, you can rest assured that your very important accident claim will be handled efficiently and in a stealth manner to help your claims process. Another important fact is that we only provide this service for insurance carriers in the defense of insurance companies. At Maya & Maya Inc, we use industry standard reconstruction software and provide computer re-animation to replicate the accident. 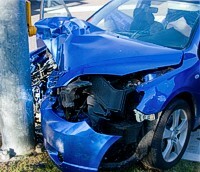 Call today and speak to our Traffic Crash Unit to see if we can help your claim out.